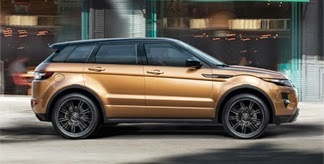 Right now at Jaguar Land Rover Peoria we have some great Jaguar and Land Rover finance specials you need to know about. For a limited time only, some select certified Jaguars are available to you with incredible finance rates—from the F-Type Convertible to the Jaguar XF. Which will you choose? Finance your new car with the staff here at Jaguar Land Rover Peoria. Our Finance Manager Aaron Bries will help you finance your new Jaguar. Aaron’s a Jaguar lover himself, and loves having the opportunity to be a part of a customer’s buying process. It’s a big deal purchasing a new car! Trust us at Jaguar Land Rover Peoria to make it as easy and stress-free as possible. The Jaguar F-Type Convertible, Jaguar XJ and Jaguar XF each have finance specials that seem almost too good to be true. But they’re true! For a limited time, enjoy a lease offer of $459 per month (36 month lease – JLRFG/Chase Subvened Lease) on a 2014 Jaguar XF 2.0T. At 30 MPG highway, this XF offer is only available for a limited time. Get 1.9% APR for up to 60 months at 0.9% APR for 24 months on select certified Land Rovers—don’t miss this opportunity. Purchasing a Jaguar or Land Rover doesn’t have to break the bank. With these financing options, your dream of owning the car you deserve could be a reality. Click here to see more Jaguar Land Rover Finance Specials. Visit us today on North Allen Road in Peoria, or give us a call at 309-690-6100 and ask to speak about our new finance specials. Looking to buy new or used? 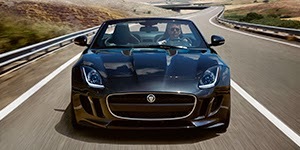 Click here to view our latest Jaguar and Land Rover inventory.